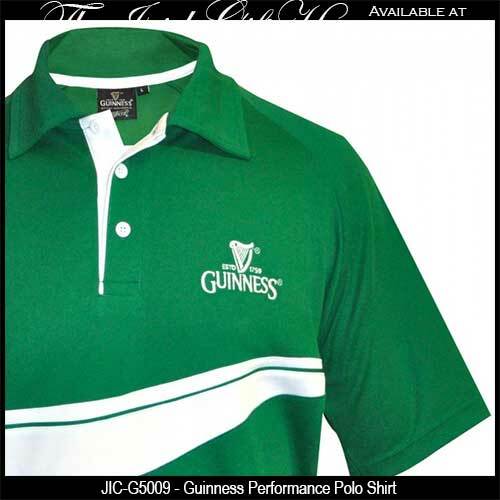 Guinness polo shirt is a green design that features white accenting along with the embroidered Guinness harp logo. This Guinness polo shirt features the famous Guinness signature embroidered on the right sleeve. This high tech performance Guinness polo shirt is made of 100% polyester with moisture wicking Cool Pass forever sweat absorption and quick dry comfort. 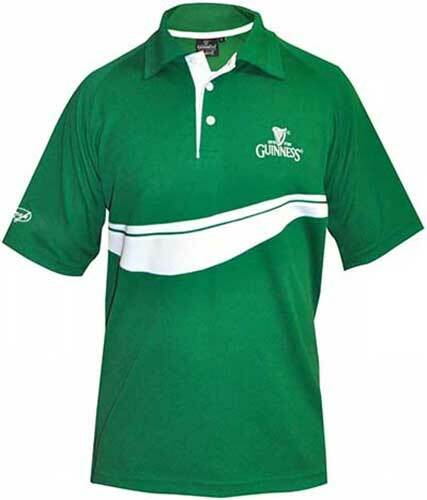 The green Guinness golf shirt is embroidered with the signature and harp logo on the left chest. This Guinness shirt would be ideal for a round of golf or for casual wear and it is available in sizes medium through XXL. This Guinness polo shirt in classic black features cream accenting along with the embroidered Guinness name and signature.